Start the Day Off Right with Oatmeal! Breakfast is the most important meal of the day, but it can be a challenge to find time in the mornings to make something that is both filling and nourishing. To help make sure that you start each day off right, we’re sharing a few interesting spins on an all-time breakfast favorite – oatmeal! The oatmeal with which you are probably most familiar is old-fashioned, or rolled, oats. 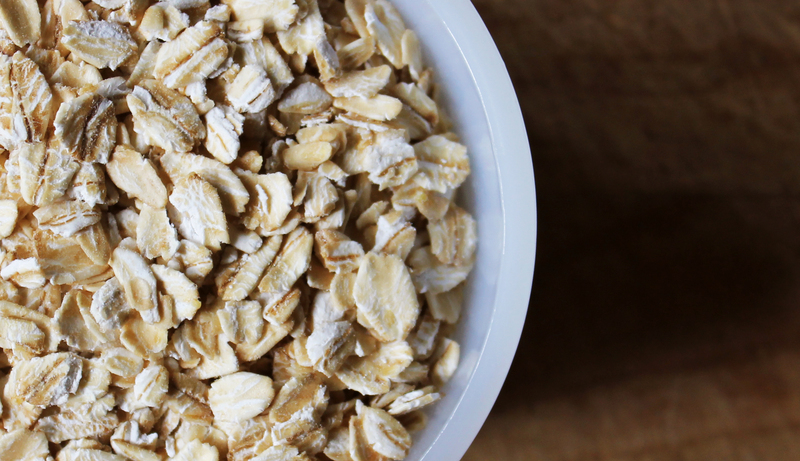 Shiloh Farms Organic Rolled Oats have a mild, nutty flavor and are ready in just 10 minutes. Plus, they are packed with nutrition, providing 40 grams of whole grain, 6 grams of protein, and 4 grams of fiber per serving! Sleep Tight: Soak the steel cut oats overnight. Before going to bed, boil 4 cups of water in a pot, turn off the heat and add 1 cup of oats. Cover the pot and leave to sit overnight. In the morning, reheat the oats over a low heat for 9-12 minutes. Pre-Toast: Place the steel cut oats in a preheated 300°F oven for approximately 20 minutes. Let cool and place the oats in a tightly covered container and store in a cool place. When you are ready to prepare your meal, the toasted oats will cook in half the time. Cut Corners: Place the oats, raw or pre-toasted, in a food processor. A few turns of the metal blade will break up the grains and reduce the cooking time by at least 5 minutes. Be Prepared: One trick is to prepare five days’ worth of steel cut oats in advance. This can be stored in an airtight container in your refrigerator and used as needed. To reheat, just add a serving of cooked oats and a little liquid to a pan, cover, and cook on low heat for 5 minutes. Add 2 tablespoons of chopped Shiloh Farms Organic American Native Pecans (if you have extra time, we recommend toasting the nuts first to maximize their flavor), 1 tablespoon pure maple syrup, and ½ of a banana, sliced. Add 2 tablespoons Shiloh Farms Organic Shredded Coconut, 1 tablespoon Shiloh Farms Organic Coconut Sugar, and 2 tablespoons chopped Shiloh Farms Organic Cashews (toasted to maximize their flavor). Add 1 tablespoon chopped Shiloh Farms Organic Sour Red Cherries, 1 tablespoon chopped Shiloh Farms Organic Pistachios (toasted to maximize their flavor), and 1 tablespoon Shiloh Farms Raw Alfalfa Honey. There’s a reason why trail mix is a summer snacking staple. It’s a tasty treat that is also quick, convenient, and portable. Ideal for long road trips, days lounging on the beach, or just to munch on while crashing on the couch, this versatile snack can also be filling and nourishing with the right ingredients. Check below for our current favorite trail mix combination and, for a limited time, save 10% on these featured products! * Or, click through to ShilohFarms.com to select your own unique mix from our wide selection of organic and all natural nuts, seeds, and dried fruits. Mix ingredients together thoroughly & enjoy! * To save 10%, add qualifying items to your cart and enter Promo Code MIXITUP at checkout. Cannot be combined with any other discounts or offers. Valid 7/15/14 – 7/17/14 only. As consumers become increasingly aware of the impact their purchasing decisions have on the world around them, many are actively seeking out more environmentally-friendly detergents and cleaners. However, while several “All Natural” alternatives exist, it has been difficult to find a truly “Organic” option. No longer. 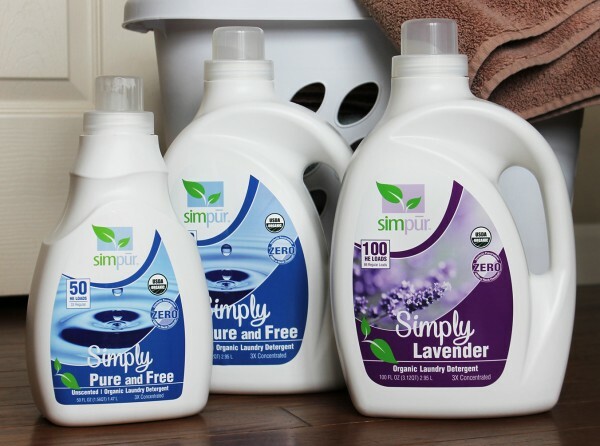 Responding to the growing demand for reliable and effective organic cleaning solutions, Simpur presents its new line of USDA Certified Organic laundry detergents. Non-Toxic, Hypoallergenic, and containing zero preservatives, each ingredient in Simpur detergents is guaranteed to be as pure as nature intended. From the family of Shiloh Farms, Simpur builds upon a rich heritage of developing wholesome, all natural products as it strives to create a greener, healthier world. With practical and effective organic cleaning solutions that minimize environmental impact without sacrificing cleaning power, Simpur makes it possible to live a truly well-balanced life.